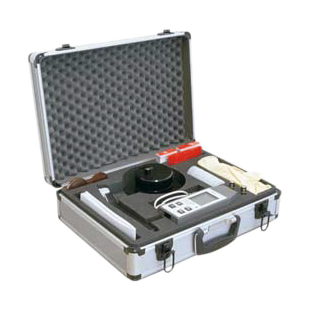 Reduce the loss of time in cases of emergency for detecting radioactive contamination using Thermo Scientific™ FH 40 Lab-1 Mobile Laboratory. It offers rapid response to radiological emergencies, providing on-site measurement and analysis of alpha, beta, and gamma radiation. It serves as an effective supplement to the multipurpose radiameter FH40G for first responder task forces. Already in service with the German civil defense authorities, the FH 40 Lab-1 is able to respond rapidly to radiological emergencies. The system is comprised of the FH 40 G radiameter with an integrated proportional counter tube and a FHZ 672-2 NBR scintillation probe. While driving, the high-sensitive scintillation probe recognizes even a minimum of artificial gamma radiation in the measurement range of nSv/h, in a wide area. The measured track of radioactivity is automatically shown on a digital map supported by GPS.